Winches are generally one of the most used and abused tools that towers have. Over the years, I have seen some amazing things done to winches and cables. Some left my mechanics wondering how these were done. Some types of winches will take abuse better than others, but all need care and maintenance. There are two basic types of winches used in the towing industry today. The worm gear and the planetary. The differences are easy to spot and both have their own strong and weak points. 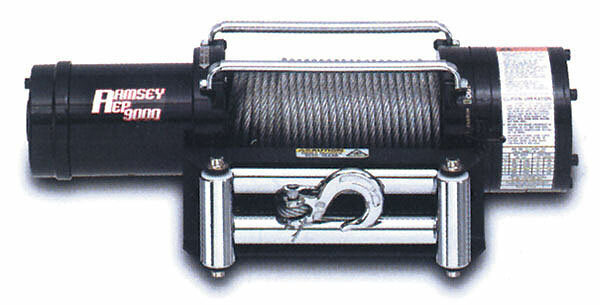 This type of winch has been a main stay of the industry for many years. Strong and tough, they can take a lot of abuse. Keep them full of gear lube and the will last for years. (there are some out there over 60 years old and more). The basic worm gear winch has but 2 moving parts. 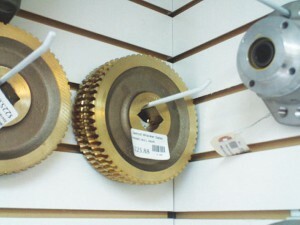 The worm gear and the bull gear. Repairing a worm gear winch is pretty straight forward and not too difficult. This is the same configuration as your trucks rear end gears. The biggest downside is TOO SLOW! There are a couple of things you can do to speed this up a bit. Of course, ramp up the rpm a little. (1200-1400 max) The other thing is to change the hydraulic motor to a faster speed. You will tend to lose a little max-power but for most people this is not a big deal. (I remember a study done by a very large motor club stating the average load pulled by a flatbed was less than 3000lbs. )So a faster motor is no big deal. Motor on end, in line with drum. This style winch is multi-gear driven . Most all have a cluster or sun gear inside the main housing and a direct (in line) motor arrangement. All will have some type of spring or hydraulically tensioned, internal clutch braking, generally released by the input motor. These winches have the benefit of great speed when pulling with little or no load and slowing down as the weight or load is increased. One thing that should never be done is to hook up to a disabled vehicle and pull by driving rather engaging the winch. This will cause massive damage to the brake assembly and drive section of the winch. All winches are rated on the first layer of cable. A winch rated at 8000 lbs that is pulling on the third layer has reduced its capacity to approx. 5100 lbs. You can figure about 15% loss per layer. Keeping your cable straight and even on your drum will save you from expensive repair cost. I have seen many cables get wrapped between the edge if the case and the drum. This is only caused by letting the cable wrap up loose and not watching the cable when winching in the load. Cable tensioners and roller guides help, but you still need to start with a straight and neat drum of cable and by keeping tension (and your eye) on the cable while winching. Winches have a cable release device for free spooling the cable. This saves time by letting the cable out without winching. Always remember to completely re-engage the free spool clutch before you start winching in your load. Greasing the shaft and handle pivot should be part of your regular maintenance program. When you do release all your cable out keep in mind you need to keep at least 5 wraps of cable around your drum. 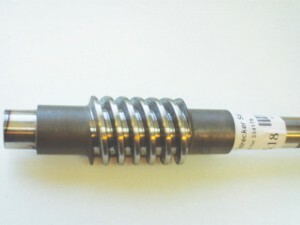 The bolt or set screw is not rated to hold any load. Keeping your winch and cable in good working order will save you time and money. By doing these simple things you can keep your down time and repairs to a minimum.